Home > Cars > Supra > What happened to the first production Toyota GR Supra? What happened to the first production Toyota GR Supra? Production of the new Toyota GR Supra is now in full swing. But what happened to the first example that rolled off the production line, seen in the above image? 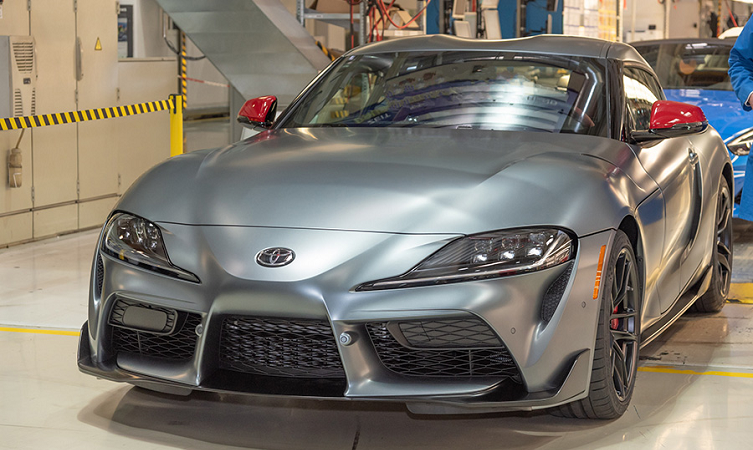 The first A90 Toyota GR Supra wore the vehicle identification number ‘20201’ – a figure that represents ‘2020’ for the model year and ‘1’ for its position within the production schedule. This special vehicle was made additionally unique with a specification that combined matt grey paintwork with red door mirrors and matt black alloy wheels, while the red interior was accented with carbon fibre trim inserts. What’s more, if you lift the bonnet you will see Toyota president Akio Toyoda’s signature on the engine cover. Having waited almost 20 years to release the fifth generation of this iconic model line, Toyota always wanted to commemorate the event with something special. So the car was offered for sale at the annual Barrett-Jackson auction in Scottsdale, Arizona, USA. 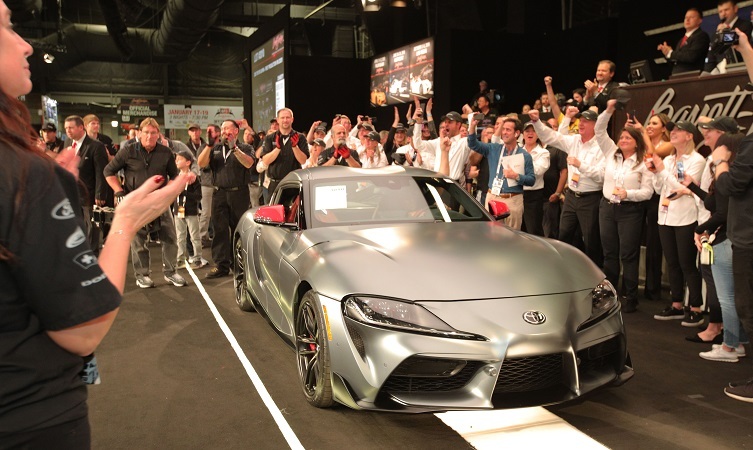 The winning bid was for $2.1 million, and Toyota donated all proceeds of the sale to the American Heart Association and the Bob Woodruff Foundation charities. 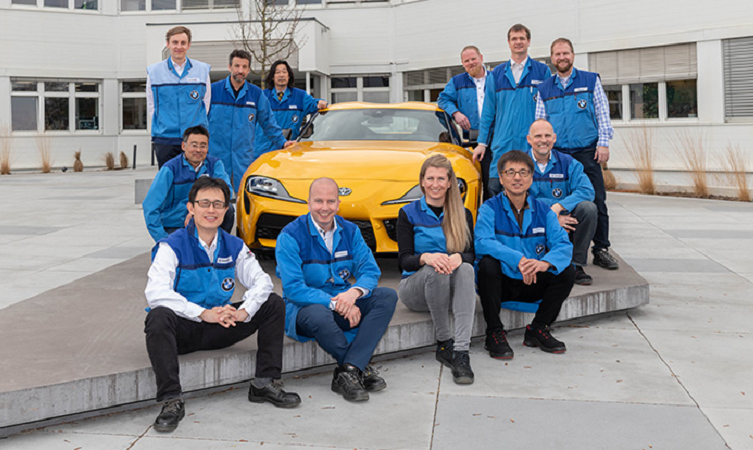 The GR Supra development team (pictured above) including chief engineer Tetsuya Tada and chief designer Nobi Nakamura visited the production line several times to oversee the quality process. Where is the new Toyota GR Supra built? The new Toyota GR Supra is produced by Magna Steyr at its facility in Graz, Austria. Production of the sports car began in early March 2019. Magna Steyr is the world’s largest contract manufacturer of automobiles, and currently produces vehicles for four major vehicle brands.